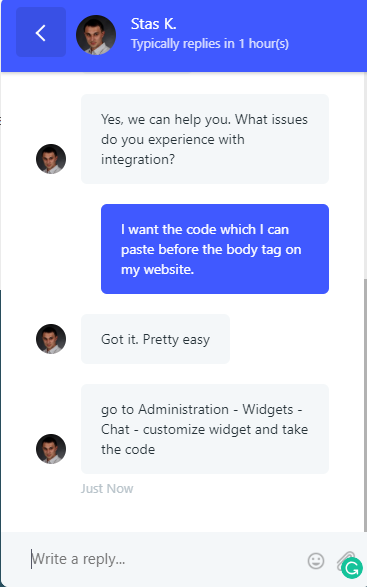 All-in-one support suit: Live Chat, Knowledge Base, Help Desk Ticketing system and Feedback Portal. Available in cloud and self-hosted. UseResponse is an all-in-one solution which provides the best support and feedback collecting experience. 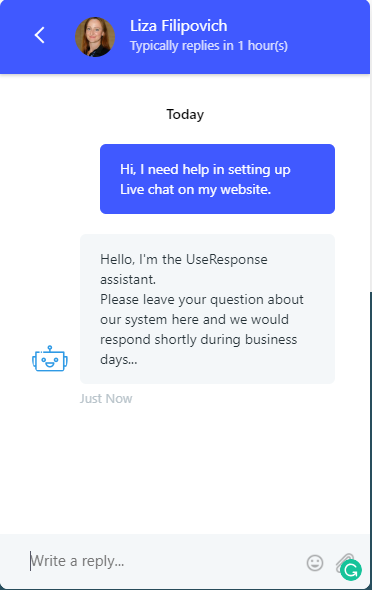 Live Chat with messengers and ticketing system provides proactive support and knowledge base with feedback portal provides self-service support. All the products combines well with each other to provide users with the best experience. Modules could be purchased together or separately. The product is available in cloud or in self-hosted package. Self-Hosted package is a great option for companies with custom development or which want to store all the information on their own servers (especially popular among healthcare, government, financial companies and It companies).